On 12th June, 2015, the United States Fish and Wildlife Service classified chimpanzees as Endangered, effectively ending biomedical studies on them. Two years later only 73 chimps have been moved to sanctuaries, leaving almost 600 still caged up in research facilities. They say there is a problem with finding space to house them all. Ol Pejeta Conservancy can help, the Sweetwaters Chimpanzee Sanctuary can take 30 right now, if anyone is interested. There is potential to accept many more. This article published in Science , authored by David Grimm, explains the issue. Hercules and Leo are only 11 years old, but they’ve already come close to retiring twice. The two chimpanzees, born and raised at Louisiana’s New Iberia Research Center, became lab animals at the State University of New York in Stony Brook in 2011. There they shared a three-room enclosure, where scientists inserted small electrodes into their muscles to study the evolution of bipedalism. In 2013, they were the subject of an unusual legal gambit. An animal rights group sued to declare the pair legal persons and retire them to a Florida sanctuary, but the effort failed. 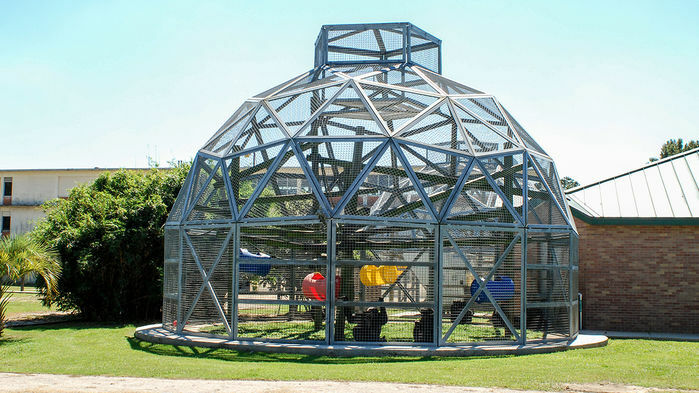 Two years later, Hercules and Leo returned to New Iberia, where they mingled with other chimps in outdoor domes with ladders and ropes. But retirement to a sanctuary, where they could climb real trees and have more room to roam, again seemed imminent: The U.S. government had just effectively ended invasive work on chimpanzees, and many observers expected all lab chimps to move to sanctuaries in short order. Yet today, Hercules and Leo, along with nearly 600 of their kind across the country, remain at research facilities. It’s unclear when—or whether—they’ll leave. In the past 2 years, only 73 chimps have entered sanctuaries, and the slow pace has heightened tensions between the laboratory and sanctuary communities. There’s plenty of blame to go around. 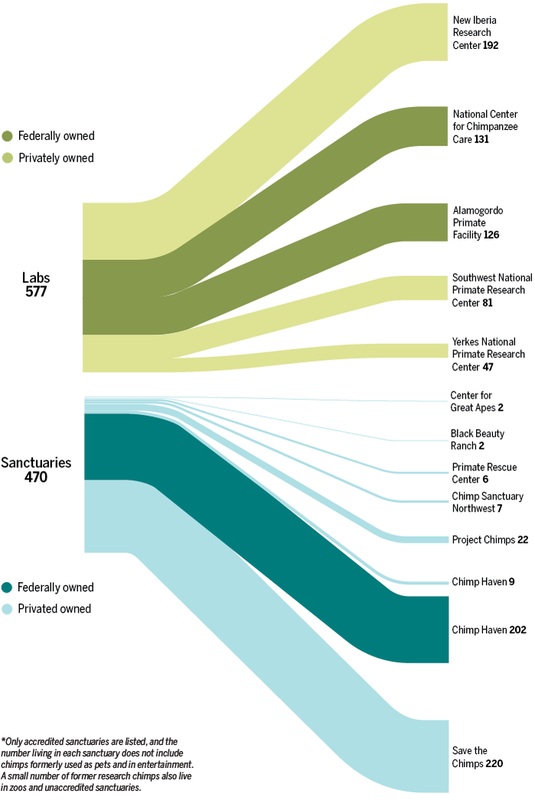 Labs have dragged their feet, sanctuaries haven’t expanded quickly enough, and the government itself didn’t have a concrete plan for retirement, despite setting the process in motion in the first place. For advocates of Hercules and Leo, and hundreds of other chimps stuck in limbo, that may not be quick enough. What to do with all the chimps? The U.S. government has been in the chimpanzee business since 1960. That year, Congress created a national network of primate centers to conduct research on these animals—some bred in captivity, most taken from Africa. The country stopped importing wild chimps in 1973, but 13 years later, when the AIDS epidemic created a demand for humanlike models of infection, NIH launched a chimp breeding boom. By 1996, 1500 of the apes lived in research labs, an all-time high. Some were owned outright by NIH, whereas others belonged to universities, foundations, and companies. Just 4 years later, the government began talking about retirement. A law passed in 2000 created a national chimpanzee sanctuary, Chimp Haven in Keithville, Louisiana. The nonprofit sanctuary’s founders, who had worked with chimps in laboratories, felt that the highly intelligent animals—who, like humans, use tools, have some form of culture, and live in complex social groups—deserved to live out their lives in a setting designed wholly around their needs. NIH got on board, pledging up to 75% of the cost of lifetime care for its chimpanzees that entered the refuge. (Other sanctuaries take privately owned research chimps.) But labs themselves decided whether the apes were ready for retirement. That changed in 2013, when—in response to an Institute of Medicine report that concluded most invasive studies on chimpanzees were unnecessary—NIH announced it would phase out support for this type of research and retire most of its chimpanzees. Then in 2015—2 years ago today—the U.S. Fish and Wildlife Service classified all U.S. chimps as endangered, effectively ending biomedical studies on them. NIH followed by declaring that all of its approximately 300 chimpanzees would be retired, though it gave no time frame. Experts assumed that the remaining 340 or so in private hands would follow suit. The reasons are complex—and contentious. Where are all the research chimps? Fewer than half of all former research chimps now live in sanctuaries. The rest are still in scientific facilities. On a sweltering day in mid-June, a group of about 20 chimpanzees emerges from a small forest and crowds around an artificial termite mound filled with applesauce and Kool-Aid. They seem to be negotiating over the food: Some scream, some wave their hands, and some climb 20-meter-tall pine trees to avoid the ruckus. When everyone has had their fill, a few disappear back into the forest, while the rest take refuge from the heat in nearby cooling rooms. Such a scene, which took place at Chimp Haven last summer, buoys the sanctuary community: It’s a picture of what life can be like when chimpanzees are free to roam and interact with each other on their own terms. 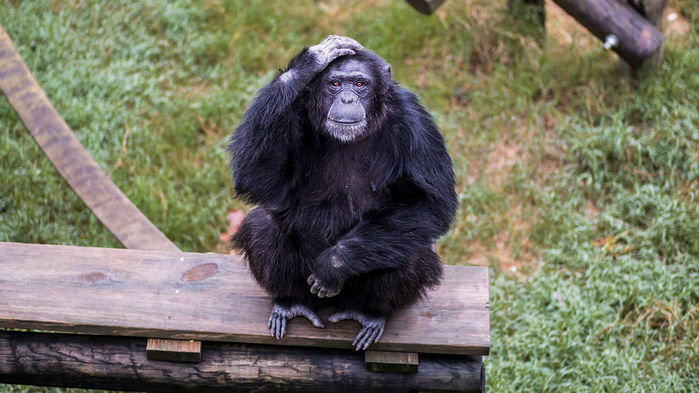 Not every sanctuary can offer what Chimp Haven does, but many are trying. 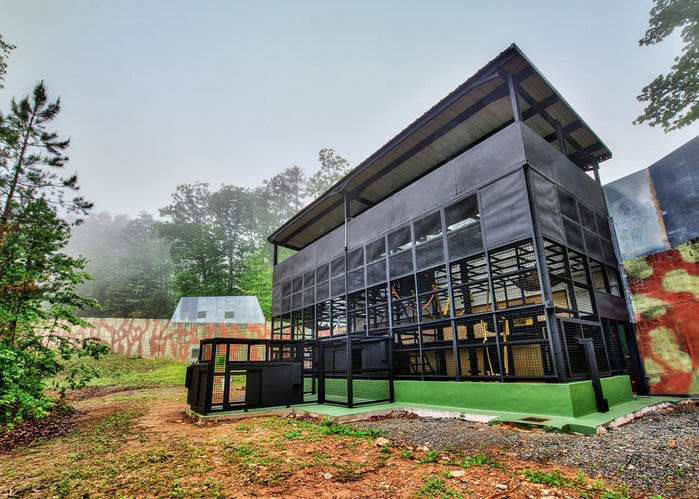 One is Project Chimps, a new 95-hectare sanctuary among the wooded hills of Morgantown, Georgia. The nonprofit organization made headlines last year when it announced it would take all 220 of New Iberia’s chimpanzees—including Hercules and Leo—within 5 years, in the most ambitious chimp retirement ever attempted. Perhaps too ambitious. Construction has gone more slowly than expected, and Project Chimps has taken only 22 of New Iberia’s apes so far, rather than the 60 it agreed to accept by now. And although the sanctuary hopes to eventually give its animals access to the surrounding forest, they now live in enclosures that aren’t much different from the domes at New Iberia: three “villas” with indoor-outdoor areas for climbing and swinging. Some say the slow pace and exclusive contract blocked other sanctuaries that could have taken some of New Iberia’s apes. Project Chimps Co-Founder and President Sarah Baeckler Davis left the organization last month, although the sanctuary would not comment on the reasons. Funding also has been a challenge. 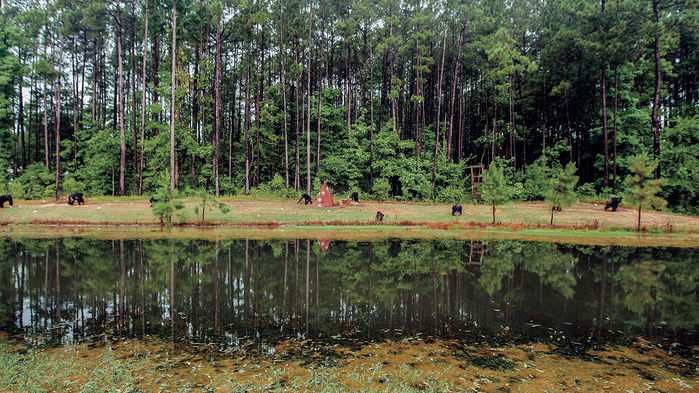 Like other sanctuaries, Project Chimps relies on a mix of grants and public donations. Interim President Ben Callison says it will cost about $6.4 million to build new facilities, not to mention the expense of providing food, toys, and veterinary care for the apes; other sanctuaries spend $16,000 to $20,000 per chimp per year on those costs. That could mean more than $3 million in annual expenses for Project Chimps once all New Iberia’s animals are in residence. But New Iberia has only agreed to contribute a one-time payment of $19,000 per chimp, with no funding for lifetime care. Other sanctuaries are scrambling to raise cash as well. Even Chimp Haven, which has an agreement to take all NIH chimps and so has some guaranteed funding during their lifetimes, pays for all construction out of its own pocket. Accommodating the 250-odd NIH chimpanzees still in research facilities could cost $17 million, says the sanctuary’s president, Cathy Spraetz. All this slows transfers. The largest one on record—when Save the Chimps, a nonprofit sanctuary based in Fort Pierce, Florida, accepted nearly 260 chimpanzees from a private New Mexico lab—took almost a decade and cost $5 million. But retirement has been a long time coming, and critics say lab facilities should have prepared for it. Duke University’s Hare notes that a 1997 National Research Council report recommended a breeding moratorium, concluding that chimps had not proved as useful as expected for biomedical research. “The writing has been on the wall for 20 years.” Yet, Hare says, labs continued to insist the animals were needed, preventing sanctuaries from launching fundraising and construction. “It’s created a huge challenge for the sanctuary community,” agrees Save the Chimps Executive Director Molly Polidoroff. Now, after the government has concluded the animals are not necessary for research, some labs still insist chimps are better off staying put. Neither the National Center for Chimpanzee Care (NCCC) at the MD Anderson Cancer Center in Bastrop, Texas, nor the Alamogordo Primate Facility in New Mexico—which together house the 257 government-owned chimps not in sanctuaries—would speak to Science for this story. But NCCC Director Christian Abee told the Houston Chronicle in 2015 that half of his chimps were geriatric and not up to the stress of transport. He has advocated for retiring the animals at NCCC, citing their bond with the facility’s experienced care staff (and vice versa), as well as NCCC’s outdoor treehouses and playgrounds, which aren’t much different than those at some sanctuaries. For the chimps in private hands, money rather than a government commitment may shape the future. With research funding no longer available and overhead payments from NIH dwindling, private facilities like Texas Biomed and Yerkes National Primate Research Center in Atlanta, which houses 47 chimps, will have less and less financial incentive to keep their animals. Perhaps they’ll even help pay for sanctuary retirement. Or so people in the sanctuary movement hope. Financial pressures were certainly at work in New Iberia’s decision. The research center’s director, Francois Villinger, says he sees the appeal of retiring his chimpanzees where they are, noting his facility’s large outdoor play areas and social groups of apes that have been stable for years. “When the Project Chimps staff came down here, they were surprised by how good the conditions were.” Yet New Iberia could no longer afford to pay for hundreds of chimps not being studied, he says, and did not want the public relations headache of keeping the animals. In the end, not all research chimpanzees will make it to a sanctuary. Dozens die every year from old age and illness. But, if all goes according to plan, youngsters like Hercules and Leo should live to move to Project Chimps. Indeed, says Villinger, they should be on their way in a few months. This entry was posted in chimpanzee, court rulings, Hominid rights, legislation, sanctuaries, United States. Bookmark the permalink.